Released just recently this year, the Neanderthal is the latest project from RoMa Craft Tobac. 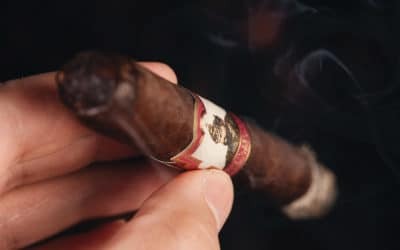 Joining their first three lines of the Intemperance, CroMagnon, and Aquitaine, the Neanderthal is the newest regular production cigar from RoMa Craft. 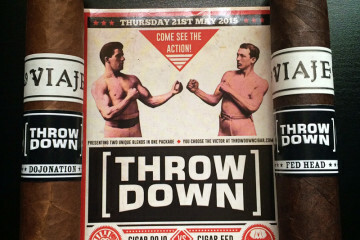 Rumors started in 2013 about a new project from RoMa Craft Tobac, and they made a presence at last year’s IPCPR show. The Neanderthal was there, but only a few handfuls of samples were handed out, as the launch of the cigar was pushed to 2015. After much anticipation, the Neanderthal is finally here. 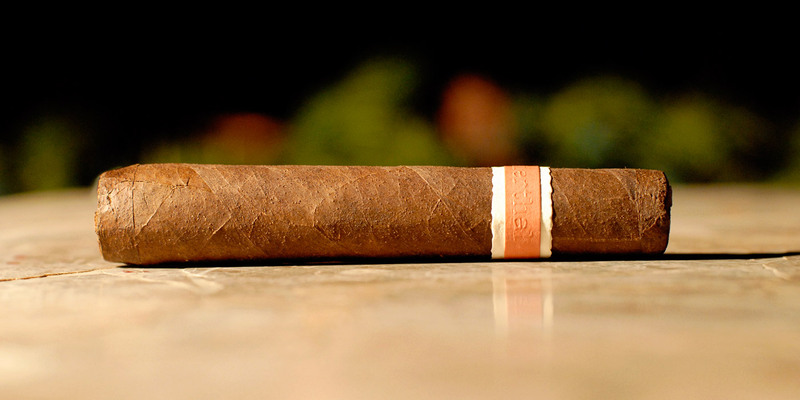 Fans have been waiting patiently (some more than others) for RoMa Craft’s next release, as they have quickly become some of the most highly sought after boutique cigars. 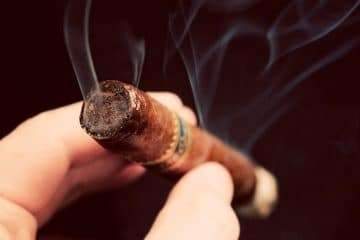 The Neanderthal is nothing less than we have come to expect, boasting extremely high quality tobaccos, along with a beautifully unique vitola. The Neanderthal, in my opinion, is the most pleasing to look at out of all their lines. With the usual, sleek, minimalistic band and a beautifully bold, San Andrés body to go with it. 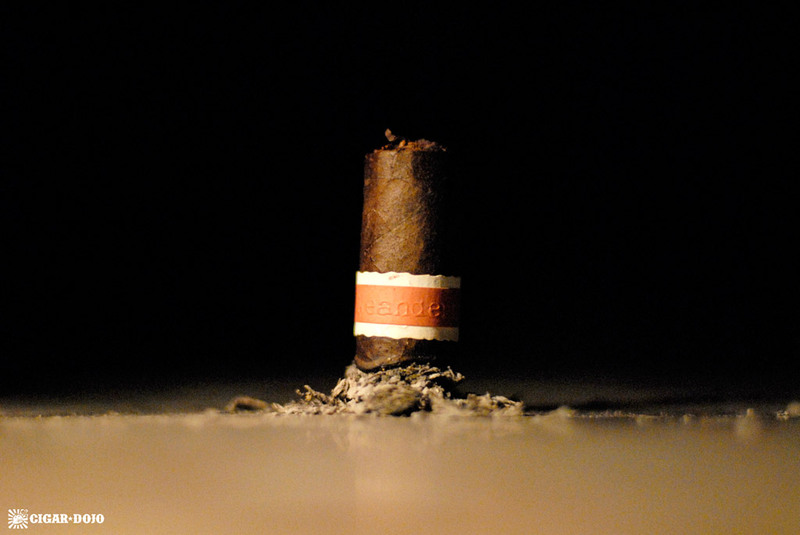 The wrapper is a dark San Andres Maduro, with superb construction and a hefty amount of tooth. The Neanderthal is also one of the only cigars with a completely flat cap (a subtle nod to its caveman theme), which adds to the clean look, and a tapered foot to finish it all off. As this being my first time with a flat-capped cigar, I was curious how it would compare to more traditional styles once cut. The cap took a guillotine cut marvelously (just be careful not to cut in too deep), with almost zero loose tobacco needing to be brushed off. I wonder if other companies will take on this new style, as it seems to be working perfectly. RoMa Craft, being a notoriously bold and edgy brand, actually includes a razor blade in the 50-count boxes of Neanderthal, which is intended to cut (or shave) the unique flat-head-style cap—as there is much less room for error without the gradual curved shoulder of a traditional cap. 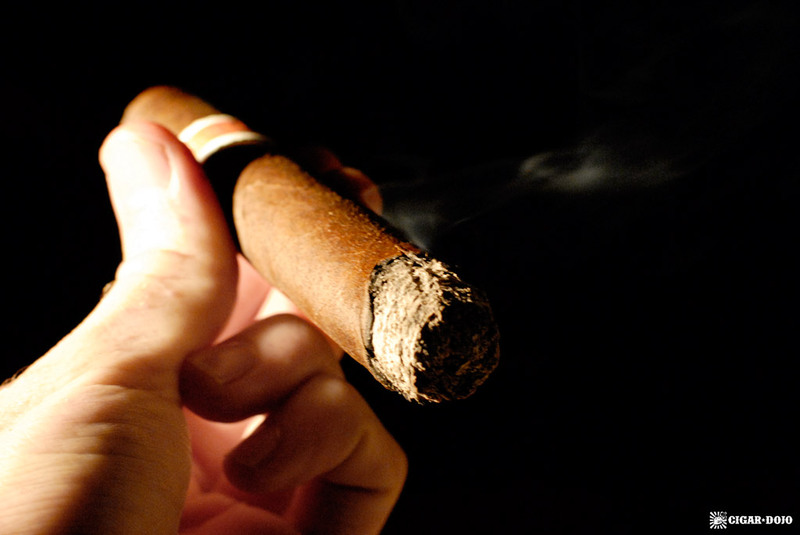 Where the small, uniquely-styled band holds back, the cigar’s flavor does not. Even during the toasting process, it’s clear this smoke has some power behind it. And after the first puff, that assumption quickly becomes reality. A powerhouse of pepper, sweetness, and some serious spice quickly leap into my mouth. The smoke is heavy, and very thick. A slightly snug draw is brought forth, but still manageable, as the smoke does not suffer for a second. About an inch down things really start taking off. An extremely smooth cocoa joins in on the finish, pairing nicely with the hefty spices. The retro-hale is surprisingly gentle, letting off a nice oak flavor. 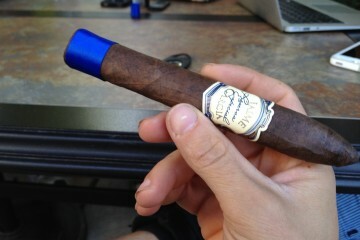 The finish is long and tasty, and has a good amount of maduro sweetness. The ash holds on in decent sized chunks, but is a bit flaky. The smoke remains thick and chewy, with even thicker flavors spewing out. The body is definitely full, and strength is easily detected early on, although still outweighed by the body. Around the halfway point the strength continues to push forth, and I can feel my head getting a little fuzzy. Flavors remain strong with no changes thus far, but still hold a decent amount of complexity. Down to the nub, this cigar is at its maximum. Intense flavors matched equally with intense strength, this is no cigar for the weak of heart. Continued notes of cocoa, wood, smooth sweetness, lots of pepper and spice, and a decent amount of herbal nuances—the Neanderthal has a lot to offer here. Would I smoke this again? 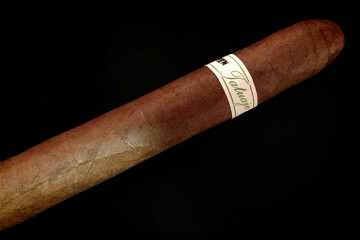 Without a doubt, although this is not your everyday smoke, nor a usual choice for morning-midday. This beast packs a punch. It deserves respect and should be smoked with attention, and a full stomach. 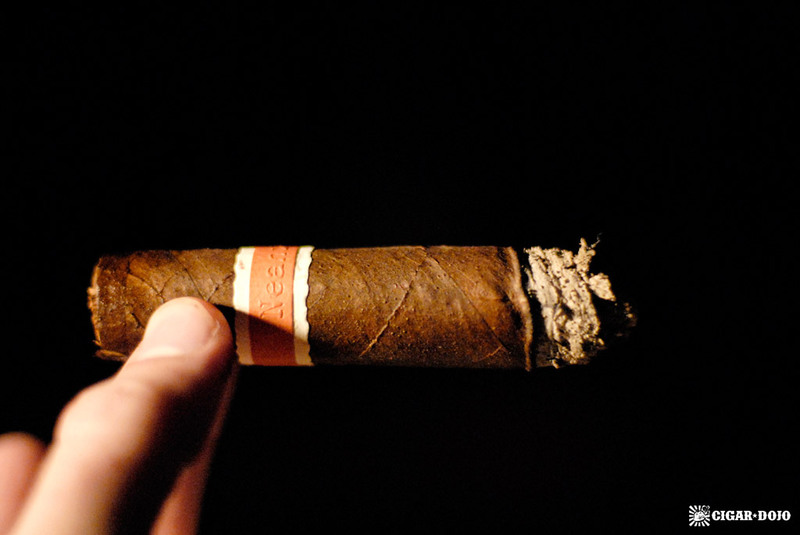 The Neanderthal is a truly unique cigar every connoisseur should have in their prized selection. It’s bold, it’s tasty, and it’s one of the best maduros I have ever had. The $12 price tag may scare away some of the budget smokers, but that may be for the best. The Neanderthal deserves to be taken seriously, and has the right to be enjoyed by serious smokers around the world.